Picture this scene: A couple is spending a quiet evening at home with their one-year-old daughter, who has had a bit of a cold. At about 8 o’clock she begins coughing — an unusually loud, resonant cough. Over the next few hours, the sporadic cough becomes increasingly frequent. She gets a fever. At 11 o’clock (when all the After Hours Clinics have closed, and her doctor is in bed), her breathing becomes noisy and labored. Each breath now makes a worrisome crowing noise unlike anything the parents have ever heard. Concerned, they bundle her up and take her to the local emergency room. Croup, bronchiolitis, bronchitis, and pneumonia are all words that denote the location in the body of a problem. Bronchiolitis refers to inflammation in the bronchioles, the smaller airways that branch off from the main bronchi or breathing tubes. Bronchitis is inflammation in these larger, main breathing tubes. Pneumonia refers to inflammation of the lungs themselves. The word croup comes from an old Germanic word for the voice box. Today, croup, or laryngotracheobronchitis, refers to swelling centered at the larynx or vocal cords. Infection, allergy, or an inhaled foreign body can cause croup. GE reflux can trigger croup. It is usually (75 percent of the time) caused by parainfluenza viruses, but RSV, measles, adenovirus, and influenza can all cause croup. Before the era of immunizations and antibiotics, croup was a dreaded and deadly disease, usually caused by the diphtheria bacteria. Today, most cases of croup are mild. Nevertheless, it can still be a dangerous disease. It tends to appear in children between 3 months and five years old, but it can happen at any age. Some children are prone to croup and may get it several times. Croup is characterized by a brassy cough that sounds rather like a seal barking. Most children have what appears to be a mild cold for several days before one evening when the barking cough becomes evident. As the cough gets more frequent, the child may have stridor (a harsh, crowing noise made during inspiration). Croup is typically much worse at night. Cool air or steam can briefly decrease the swelling in the larynx and improve the symptoms. Croup caused by an infection is contagious. Croup caused by allergies or foreign bodies is not. Croup often lasts 5 or 6 nights, but the first night or two are usually the most severe. Rarely, croup can last for weeks. Croup that lasts longer than a week or that recurs frequently should be discussed again with your doctor to determine the cause. Children with croup are usually diagnosed based on the history and physical exam. 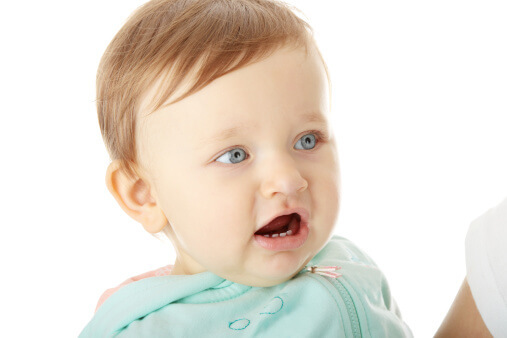 Sometimes a doctor will even identify croup by listening to a child cough over the phone. Occasionally other studies, such as x-rays, are needed. Most cases of croup can be safely managed at home, but you will want to call your physician for guidance, even in the middle of the night. Acetaminophen can make the child more comfortable and lower any fever, lessening his or her respiratory needs. Avoid cough medicines especially in children under 6 years old unless you discuss them with your doctor first. If your child is not responding to home treatment, or is struggling to breathe, has stridor at rest, retractions (tugging-in between the ribs with inspiration), dusky lips, drooling, or is very tired or agitated, she should be seen immediately. If you suspect a foreign body or an insect sting as the cause of croup, she should be also seen immediately. Some children with croup require hospitalization for a few days. Most causes of croup are spread by direct contact, droplet transmission, and by fomites. Careful hand washing and other appropriate precautions can decrease the spread of these viruses. The diphtheria, Haemophilus influenzae (Hib), and measles vaccines protect children from the most dangerous forms of croup and infectious airway obstruction. Laryngotracheobronchitis, Infectious croup, Spasmodic croup.